We’ve been told that the ongoing Ebola crisis in West Africa has killed several thousand people in recent months. According to World Health Organization (WHO) numbers, the virus has claimed well over a thousand more lives (4,493) then the amount that are said to have perished in the attacks of September 11, 2001. Currently, there are 8,997 suspected cases, with most being reported in the three worst-affected countries, Liberia, Sierra Leone, and Guinea. The incubation period for the deadly Ebola virus is said to be anywhere from two to 21 days. The virus has reportedly made its way to parts of Europe and the United States with new cases being announced every week now. The CDC recently confirmed that a second healthcare worker from Dallas, 29 year-old nurse Amber Joy Vinson has been diagnosed with Ebola after treating Thomas Eric Duncan, the now well-known Liberian man who is said to have contracted the virus while assisting an infected pregnant woman in West Africa. Reportedly Vinson had been traveling by plane on October 13th, after supposedly making wedding plans. 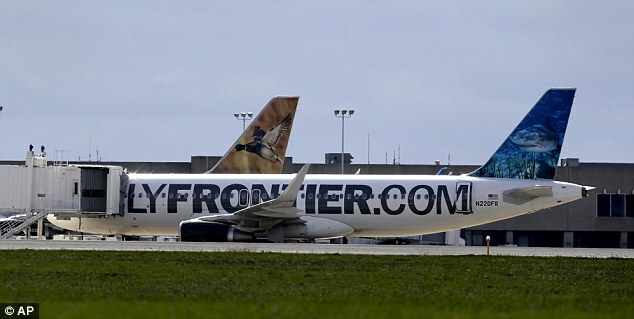 She made her way from Cleveland to Dallas on Frontier Airlines flight 1142. The plane is said to have made 5 flights before being taken out of service. This has resulted in airline stocks taking a plunge as the fear of Ebola grows across the country. It has also been announced that Vinson had a low-grade fever while traveling. Shockingly, it was revealed that Vinson was given the ‘green light’ by the CDC to travel by plane even though she had signs of being very ill. Although the CDC is trying to get into contact with other passengers from Vinson’s airplane, they still maintain that those onboard her flight were not at high risk of contracting Ebola. Although we’ve been told that wild animals can be carriers of the Ebola virus, including Fruit bats, it is also been stated that certain strains of the virus have been merged to become weaponized creating a deadly bioagent. There seems to be two types of media coverage going on with Ebola, one based in propagating a fear-based narrative surrounding Ebola and those not reporting enough of the critical details as this outbreak appears to be spreading. It’s important to consider that there are multiple overlapping narratives when discussing the current explosion of Ebola, as we could be looking at a natural outbreak – or an engineered one. Last week here at 21WIRE, we linked to an article from Intellihub, which contained a Rockefeller Foundation white paper from May 2010 entitled, ‘Scenarios for the Future of Technology and International Development.’ Within the document, there was a section outlining a scenario shockingly similar to the current Ebola outbreak. While we could be on the verge of a very serious outbreak, we should consider what happened during the propagandized height of the Swine Flu ‘epidemic’ (H1N1) in 2009. The W.H.O declared the apparent Swine Flu outbreak was a level-6 pandemic after just 20 cases worldwide. The CDC had been caught doctoring results to prove an epidemic, then they stopped counting, because as it turns out -there was no epidemic. Incredibly, the CDC continued lie about the spreading of Swine Flu and later stated that 22 million had come down with H1N1. Fortunately, much of this turned out to be falsified data. 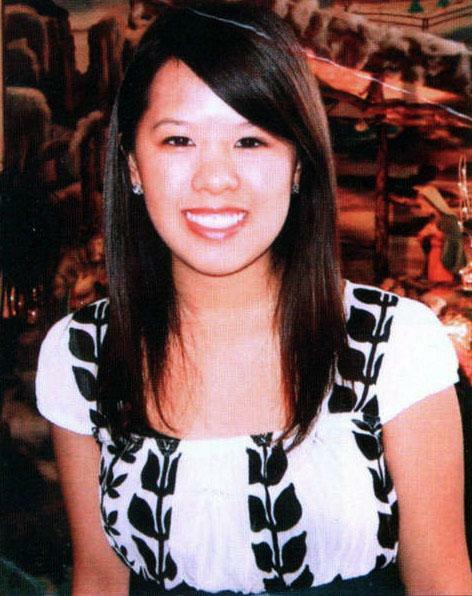 Over the last week it was also confirmed that 26-year old Nina Pham a nurse at the Texas Health Presbyterian Hospital, has contracted Ebola after treating Thomas Eric Duncan. Authorities have asserted that Nina Pham was wearing the proper protective gear when she treated Duncan, yet that there was an apparent ‘breach in protocol’ according to the CDC. What was the breach in protocol that lead to the protected nurse being infected? New reports from the AP, have stated that the Texas Health Presbyterian Hospital staff did not where hazmat suits until September 30th, when it was confirmed that Duncan was infected with Ebola. Is this what really happened or is the Ebola story being revised again? In my first article about Ebola, I noted there was evidence of a collusion between big pharma, various aid organizations, the CDC and W.H.O over this current crisis. It was reported that USAID affiliate Samaritan’s Purse, was working in an infected Ebola hot zone, just as the pharmaceutical corporation known as MAPP Biopharmaceutical, was looking to use their clinically untested and unproven drug called ZMapp. The biopharmaceutical company then received an unprecedented boost from W.H.O when an ‘expert’ panel lifted a ban internationally in August, allowing the drug to be used globally – a move that has raised major health and ethical concerns. We should make note that historically, there have been cases where drugs were developed to fight certain disorders have also mimicked an actual viral outbreak. So far there have been a small number of cases that have been confirmed outside the Ebola hot zone in West Africa, most notably, Thomas Eric Duncan, who made travel plans to come to the United States, after purportedly rekindling a relationship with Louise Troh, after a 16 year absence. It’s important to note that Duncan was not actually married to Troh, although he was supposedly engaged to her. Those close to Duncan have remained in quarantine after his diagnosis, even though none of them have shown any symptoms of having contracted Ebola. 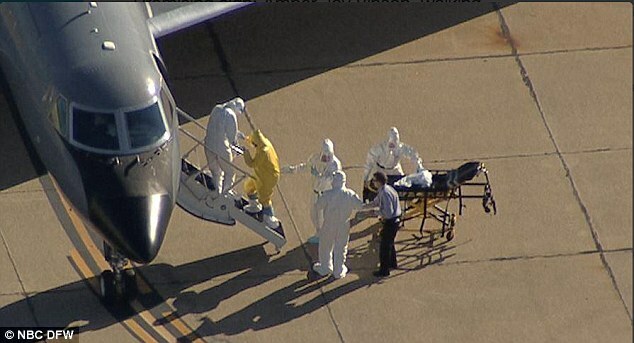 So far there have not been any reports about any of his fellow passengers coming down with Ebola. There have been many questions surrounding Duncan’s ability to purchase the expensive Liberia-United States bound plane ticket, as some researchers have pointed to an email by an anonymous airline employee, allegedly from United Airlines, that supposedly provides purchaser information for the Liberian man’s ticket. I cannot speak to the validity of the following email obtained by Gotnews.com but if true, it would be shocking. Who was Duncan really working for? Although Duncan died on Wednesday, October 8th, he is listed as the first person to develop Ebola on United States soil, following the treatment of Dr. Kent Brantly of the Christian aid organization Samaritan’s Purse and Nancy Writebol of Serving in Mission (SIM), who were flown back from Liberia to the United States after allegedly contracting the deadly virus. I should mention that Brantly, the medical director for Samaritan Purse, who was the head of the Ebola Consolidated Case Management Center in Monrovia, had been in Liberia since October 2013. There is also an American video journalist Ashoka Mukpo, who had spent time working in Liberia and was admitted for treatment at Nebraska Medical Center, which has been said to be the only medical center in the country equipped to deal with this kind of viral outbreak. Due to an apparent shortage of the antibody ZMapp, both Mukpo and Duncan had been given Brincidofovir, an experimental drug from the bio-pharmaceutical company Chimerix. This caused outrage among those closest to Duncan. Skeptics charge that Duncan could have been aware of his condition upon leaving Liberia and might have been seeking medical attention from doctors in the United States, even though he was seemingly asymptomatic upon departing for his trip in early September. 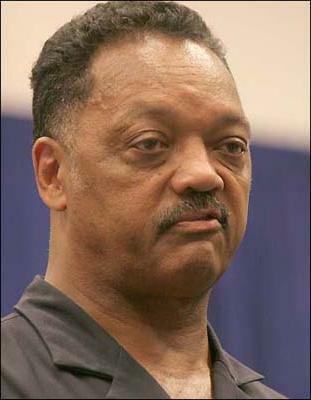 Former United States Shadow Senator, Jesse Jackson (photo, left) a known political agitator, hasn’t wasted any time injecting his brand of inflammatory racial rhetoric following the death of Duncan. Jackson who has made a career out of fanning divisive language, added fuel to the ‘Ebola’ fire by proclaiming that Duncan had not received proper care because of his race. 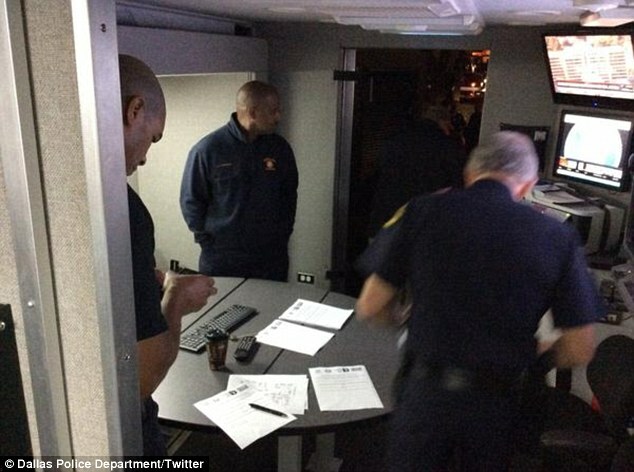 This is where Ferguson meets Ebola in Dallas (that’s a topic for another article). “His case exposed serious flaws in the emergency room intake process of a major hospital and alerted other medical centers across the country about the need to educate all staff about how to screen for Ebola. Both nurses and doctors who had initially assessed Duncan’s symptoms on Sept. 25 apparently had access to Duncan’s travel history through the hospital electronic health record system, but they sent him home anyway with antibiotics — a decision that may have potentially endangered his life and exposed scores of Dallas residents to Ebola symptoms. But perhaps what’s more alarming is the way the hospital has released information about Duncan’s first contact with health care workers. In the very first press conference, a spokesman for Texas Health had nothing to say about Duncan’s gap in care or potential mistakes workers had made. Then the hospital admitted one nurse knew he had come from Liberia, but the information wasn’t properly disseminated. Then they said that a flaw in the workflow of the hospital’s electronic health records system was to blame. Then it turned out both doctor and nurse did have access to his travel history, and that there was in fact no flaw with the hospital’s record system. “For me, the most disappointing thing isn’t that the system didn’t work, but in the aftermath, instead of helping every other hospital in the country understand where their system failed and learn from it, they have thrown out a whole lot of distractions,” said Dr. Ashish Jha, a professor at Harvard University’s School of Public Health, in an interview with The New York Times. Why did Belgium authorities initially decide to hold back flight details concerning Duncan and why did the CDC not want to inform the public about the health risks associated with the Liberian’s flight path? Why was the CDC providing flight itinerary information to the subsequent airline that Duncan was on? Also, what was the purpose behind the CDC initially saying it was unnecessary to contact other passengers on board both United Airlines Flight 822 and 951, not to mention the mystery surrounding Brussels Airlines Flight 1247? In August, it was revealed that the CDC had received alerts from hospitals in 27 states, as some patients arriving were said to be exhibiting symptoms of the Ebola virus. Nearly all of these cases were determined to be a ‘false alarm’ so what was the real reason the CDC was concerned about some 68 cases of Ebola, considering the threat in the United States at the time was very low? Incredibly this past summer, neither the CDC, FAA or TSA, could answer what precautions American airlines should be taking for travelers during the rise of Ebola. Of course we now know that some major airports within the United States will be testing the body temperature of a passenger and the screening process is said to be more lengthy when someone is traveling back from areas ravaged with Ebola. Basic analysis of these safety procedures seem to be lacking common sense, as they don’t appear to be effective at protecting anyone. Many have wondered why the United States government has continued to allow flights to pour in from West Africa. A fair question when you consider that other nations appear to be taking more aggressive steps during this ongoing outbreak. During the rise of the AIDS crisis in the late 80’s, we saw a similar style of reporting, which was also apparent in the Swine Flu H1N1 epidemic of 2009 and the Asian-based outbreaks of Avian Flu and SARS. While its important to sound the alarm bell to warn the public, one should be very careful with information gathering during a developing health pandemic. you subtract HIV from the official story, what are you left with? At the start of this current crisis, Doctors Without Borders were said to have dampened the threat of Ebola in Guinea. “The group closed a center in Telimele, where 75 percent of patients have recovered,” according to Bloomberg in July, as pointed out by Truth Sector News in September. The humanitarian group are said to have focused future efforts in Sierra Leone just prior to its Ebola outbreak. This begs the question: has this current Ebola crisis been scripted in someway? The push to develop new vaccines against the Ebola has proven to be big business, as large and small bio-pharmaceutical companies have readied themselves after W.H.O. recently lifted an international ban on experimental drug therapy for Ebola. “The University of California, Santa Cruz, has released a new, open-source Ebola genome browser with the aim of encouraging the sharing of information among scientists to get a drug or vaccine to those most affected by Ebola as well as those at risk of contracting the disease. “Several drug companies are working on Ebola therapies and vaccines, with a few having been fast-tracked by the FDA–including Tekmira’s RNA interference therapeutic and most recently, Chimerix‘s antiviral drug. Two vaccines are in Phase I clinical trials–GlaxoSmithKline’s ($GSK) vaccine, which it is working on with the U.S. National Institutes of Health, as well as one developed by the Public Health Agency of Canada in Winnipeg. There is no doubt that this research directly corresponds with the new genetically modified Ebola vaccines being administered to healthy volunteers in the United States, UK, Gambia and Mali – in the race to fast-track a worldwide ‘Ebola vaccine’ according to a recent report by the Examiner. “There is limited knowledge of the pathogenesis of human ebolavirus infections and no reported human cases acquired by the aerosol route. “Tom Skinner, a spokesman for the CDC in Atlanta, said health officials were basing their response to Ebola on what has been learned from battling the virus since its discovery in central Africa in 1976. The CDC remains confident, he said, that Ebola is transmitted principally by direct physical contact with an ill person or their bodily fluids. How long will it be before the CDC admits that Ebola has in some studies shown evidence of the virus traveling through the air? Many researchers have pointed out that the Ebola outbreak of 2014 could in fact be a false flag operation. 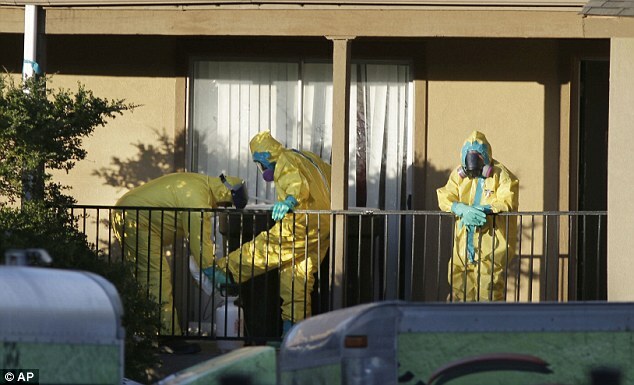 Some suggest that Ebola has opened the door for border destabilization in the United States, as big pharma and government agencies have seemingly colluded during this crisis as well. Others have stated that the Ebola outbreak in West Africa has been created by design to gain access to precious natural resources such as diamonds, oil and gas. In early October it was announced that some 4,000 troops are to be sent to Ebola ravaged regions with only 4 hours of training in viral outbreak scenarios. As Ebola hysteria continues to sweep across the United States like a viral version of ISIS, one wonders about the uncanny timing of various pharmaceutical companies, as they are already poised to produce antibodies – just in time for this apparent international crisis. How much longer will the CDC, W.H.O and the United States government put up smokes screens, shielding the public from reality?